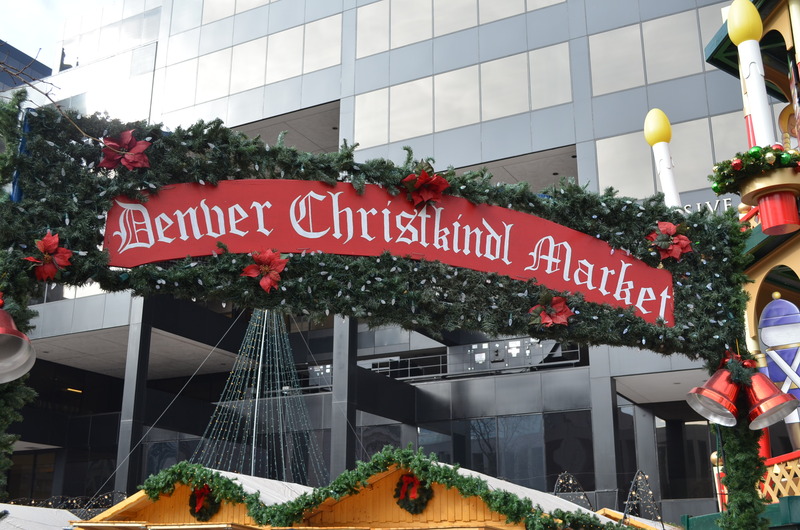 The Denver Christkindl Market is an annual holiday tradition in downtown Denver, put on by the German American Chamber of Commerce of Colorado. It’s conveniently located on the 16th Street Mall at Skyline Park, not far from the 16th & Stout Streets commuter rail station. There are many other things to do in the vicinity, such as visiting the Tattered Cover bookstore or going ice skating at the Southwest Rink at Skyline Park. 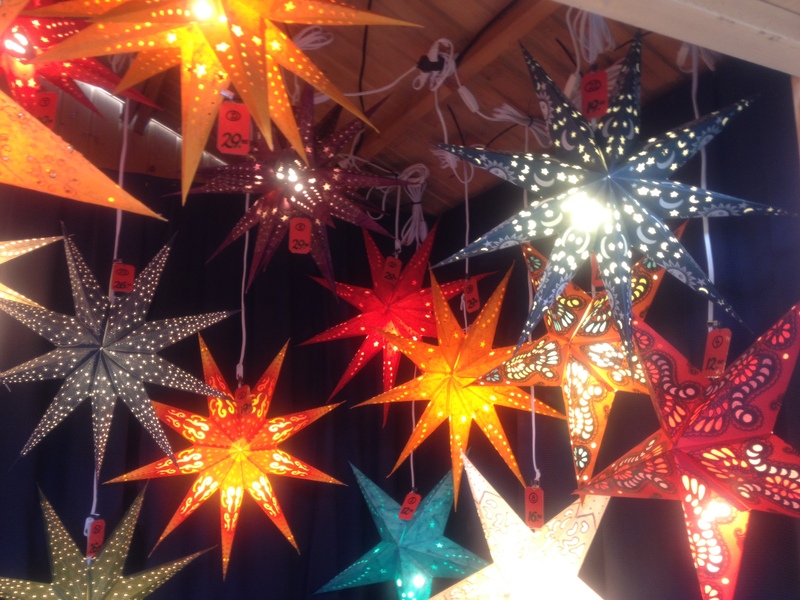 A friend had pointed me to this market’s website, and our plan was to visit it together, but our crazy holiday schedules didn’t quite work out. There’s always next year to go together. 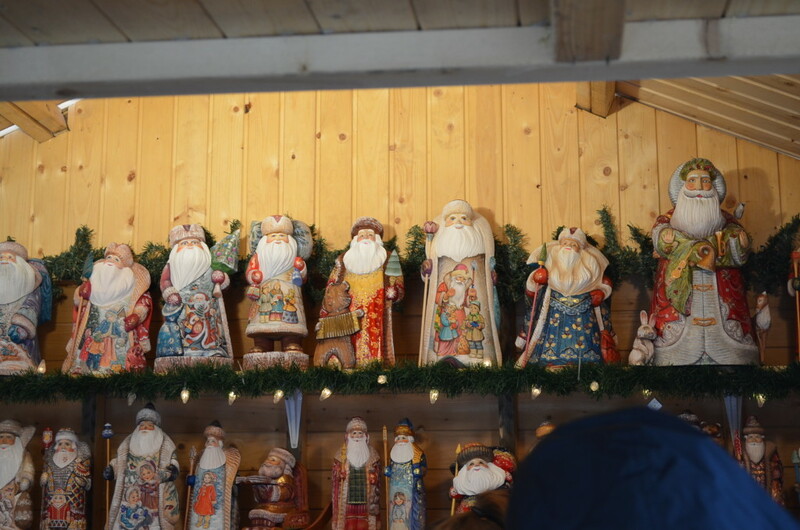 In the spirit of a traditional German Christmas market, you can expect good food, music, and plenty of shopping to be had. We drove up from Colorado Springs to arrive just in time for lunch. The kids enjoyed their wursts, while Dave had sauerbraten and I had wiener schnitzel. Dave and I also had some Paulaner beer on tap. Kids can enjoy spiced cider and hot chocolate. 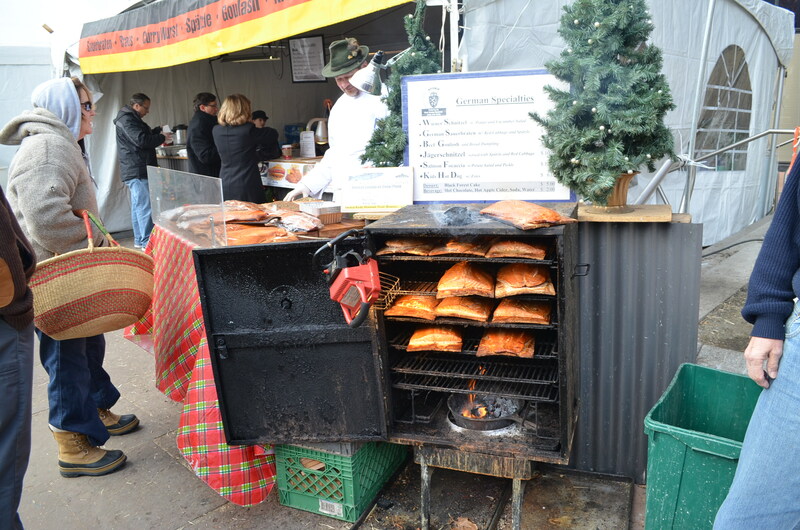 There were numerous food tents outside, including this one that featured smoked fish. 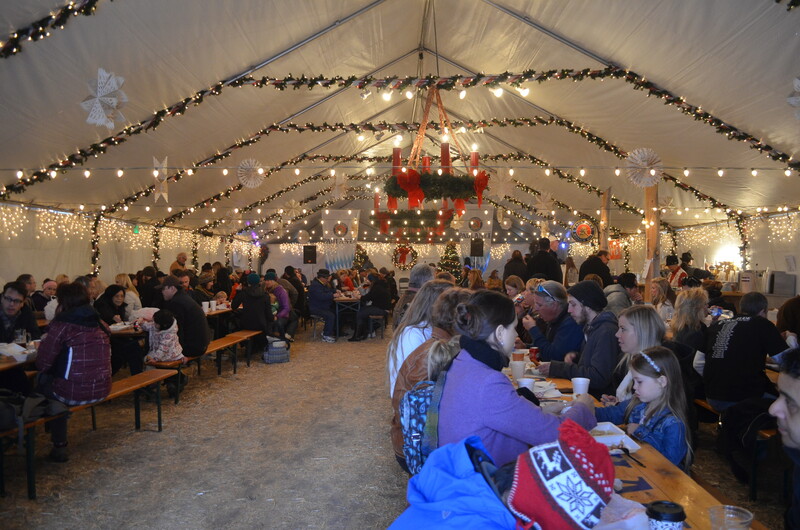 The beer tent will remind you of a traditional German beer-tent, except with pretty holiday decorations. After lunch, we took our time and enjoyed some shopping. There were numerous vendors that offered everything from lotions to jewelry. We enjoyed the nesting dolls, hand-painted Santa Clauses, and paper star lanterns. 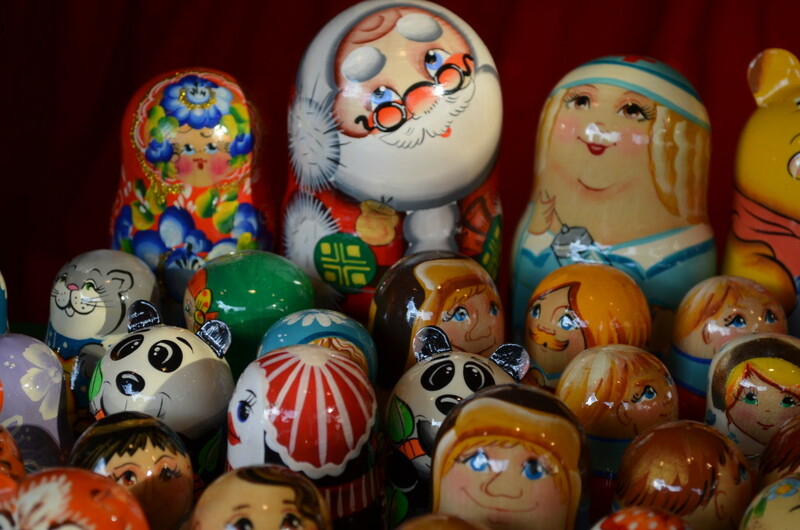 We came away with a couple of nesting dolls — they make great gifts! It was hard to even get close to this booth, it was so popular with the hand-painted Santas. 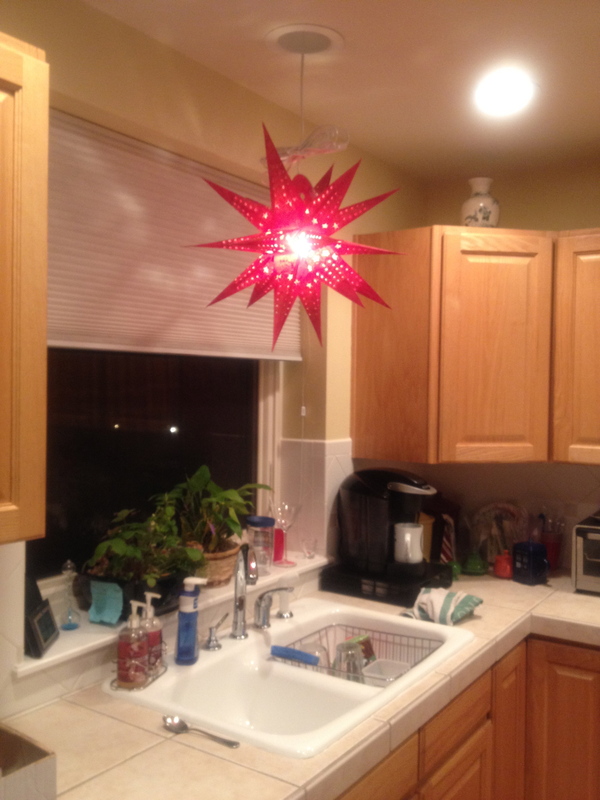 We did get a pretty paper star lantern (the one in the far upper left corner of this picture. Then we got home and didn’t know where to put it. 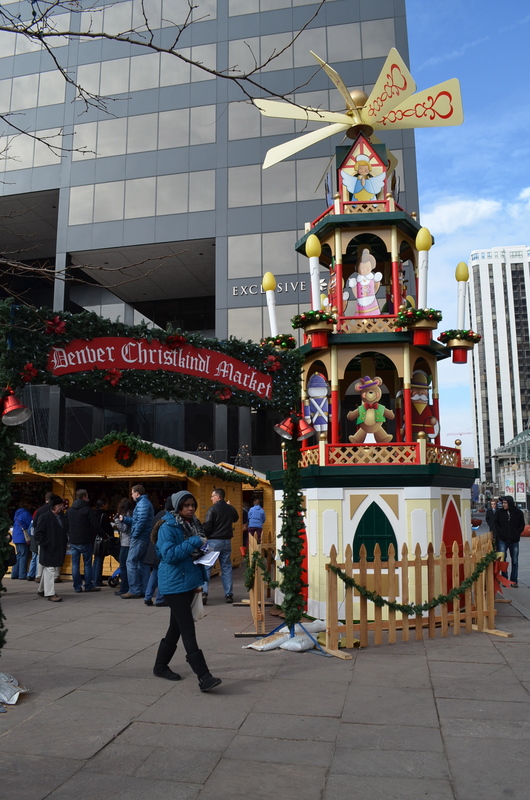 The Denver Christkindl Market runs from Thanksgiving week through the weekend before Christmas and is open daily. While it certainly isn’t an all day event (we were there about 2 1/2 hours total), I suggest heading over for lunch or dinner, then enjoy some shopping.